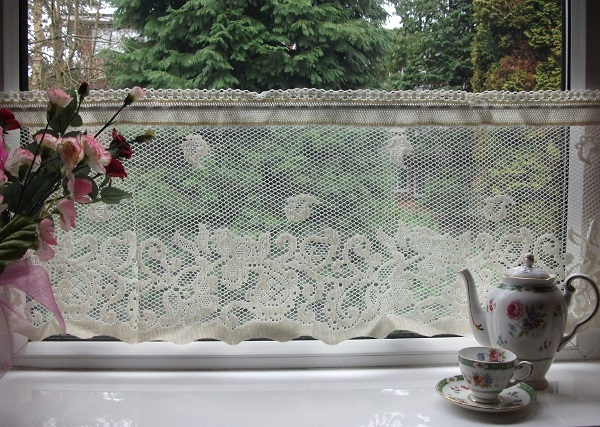 The pattern incorporated within this lovely cream cotton vintage Nottingham lace, is of a very delicate mesh supporting the entwined stem of a flowering climbing plant with clematis style flowers and leaves. 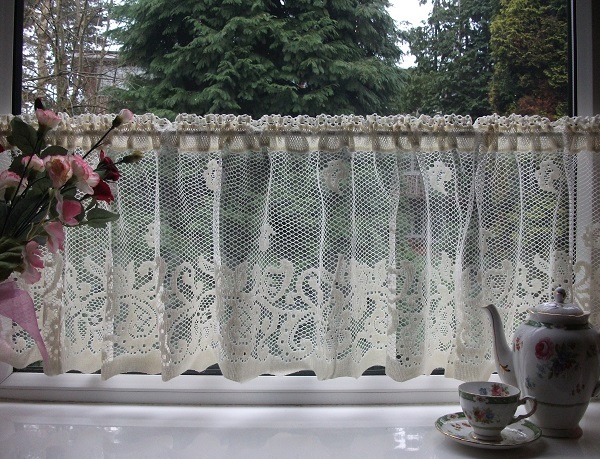 The overall length of this curtain is 14" (35cm) making it perfect for use as a cafe curtain in the home, tearoom or for other commercial use. 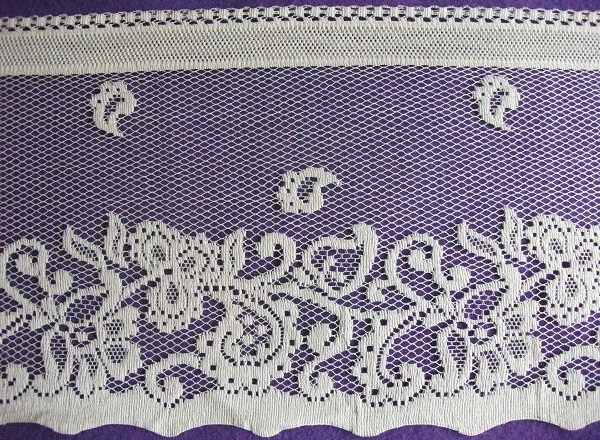 It would also create a very pretty valance for a window or make a romantic adornment for a four poster bed.